New and Improved Vietnam e-Visa System for Tourists. Vietnam National Administration of Tourism has announced that the government has agreed to offer online visas for short-term tourists to the nation and for those arriving in the country for business purposes. 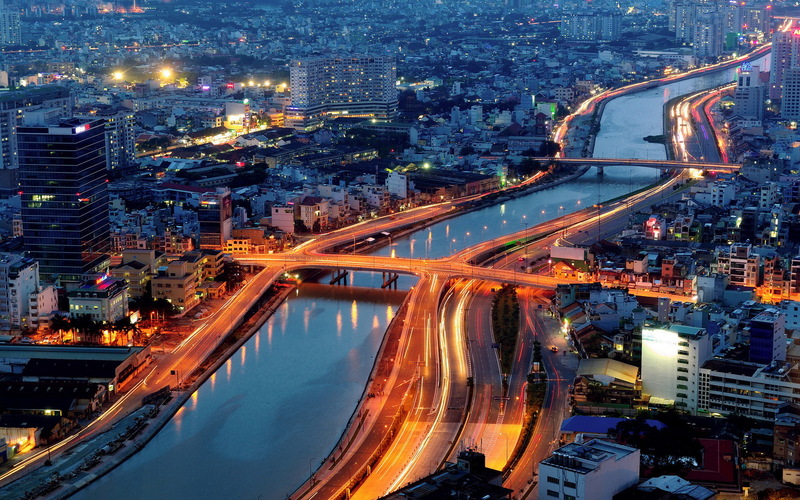 Tourists from the nations in the top ten lists of visitors to Vietnam will be able to process their visas online. The new visa approval laws will be implemented from next year onwards. It will be only applicable to the tourists from the nations that most visit Vietnam. Vnexpress quoted that under the changed immigration approvals, the tourists will be able to apply for their visas online and avail them at the airports. The Tourism department authorities have informed that the country had around 8 million visitors last year. The top ten tourist nations in the increasing order that send tourists to Vietnam are Australia, Thailand, Singapore, Russia, the US, Malaysia, Taiwan, Japan, South Korea and China. Vietnam has already given the visa immunity to the travelers from Southeast Asian countries, South Korea and Japan. Tourists from Italy, Spain, Germany, France and the UK have also been given the visa relaxation. The Chinese group travelers by car will be allowed to stay in the northern city at the border for three days without the visa. Vietnam will be implementing the liberalized visa scheme from the commencement of next year. The online visa system is smooth, quick and dependable. It does not require any documents or passport to be processed anywhere. The applicants have to fill the form online and make the payment for the service fee. They can then collect their approval letter for visas in the chosen time for processing and collect their visa at Vietnam’s international airport. There was a huge increase in the number of tourists from China to Vietnam this year with almost 1.2 million travelers visiting the country. This was approximately one-fourth of the global tourist visitors to Vietnam.